A chieftain of the All Progressives Congress, APC, in Enugu State, Comrade Adolphus Ude, on Friday boasted that President Muhammadu Buhari would record a clean victory in the State during the February 16 presidential election. 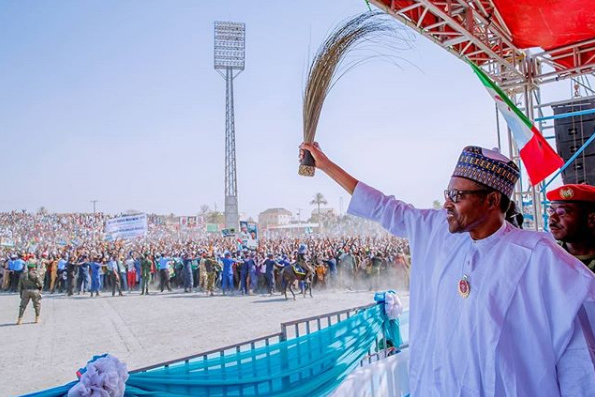 Ude, who is the Enugu State coordinator of the Youth Mobilization of the President Buhari campaign said all measure were being put on ground to deliver victory to the party. He spoke while inaugurating the local government chapters of the Youth mobilization of the Buhari campaign. “We are here today to inaugurate a special campaign team for our President, Muhammadu Buhari. “There is no doubt in our mind that Enugu State and indeed the entire Southeast are for Buhari. “I say so because he has delivered on most of his campaign promises to the people. In terms of road, we are all seeing his very visible achievements here in the Southeast. These are roads the PDP could not do for 16 years, but this government is doing it. “A lot is also being done in the area of youth empowerment as we can see in NPower and the rest of them,” he said. While inaugurating the team for the 17 local government areas in the State, he said “I am confident that your local government steering committee will fully contribute its own quota to the presidential election target of the directorate to mobilize and deliver, at least 80 percent of Nigerian youths electorates, who constitutes 51 percent of the 84 million population of Nigeria, to Buhari/Osinbajo 2019.